Last week, I had a lot of house guests, and not a lot of time. 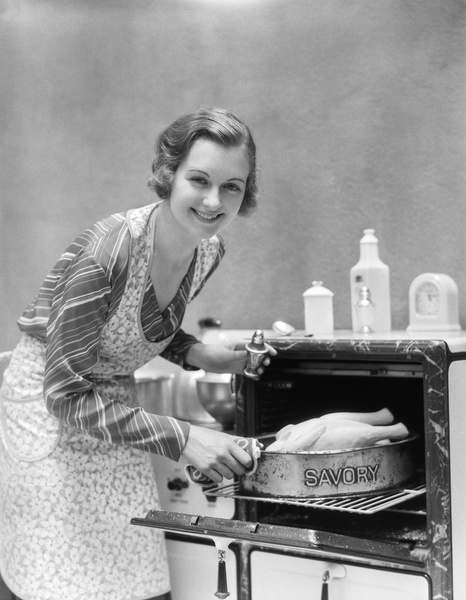 The temperatures were in the high 90’s and humid, making using the oven for a prolonged period of time unappealing. When I get time crunched, I tend to rely on our old standby “unrecipes”. I created this easy menu, which was served as a buffet for 14 people. All the food shopping and cooking was done the day of the event, except for the desserts, which were made the night before. I’d say it was a hit! My battle with hors ‘doeurves is well documented, so I kept it super simple. We started with an array of hummus, served with pita chips and baby carrots, and a big bowl of cold, steamed shrimp. All were purchased, and devoured. For the main meal, we had balsamic marinated chicken, “tarted up” with lemon zest and parsley. 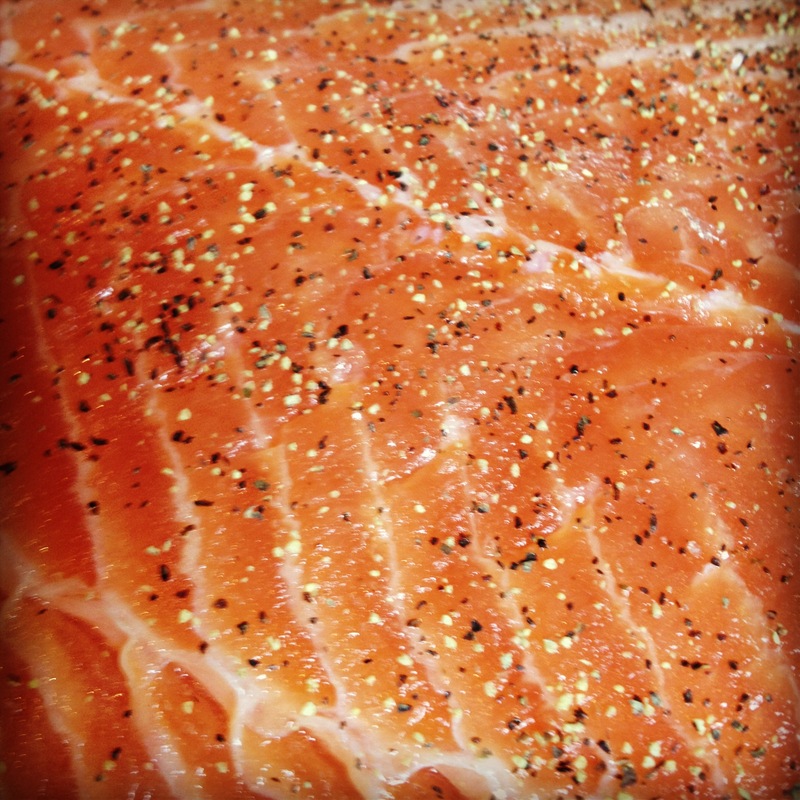 We broiled salmon and served it with a low fat avocado cream on the side. 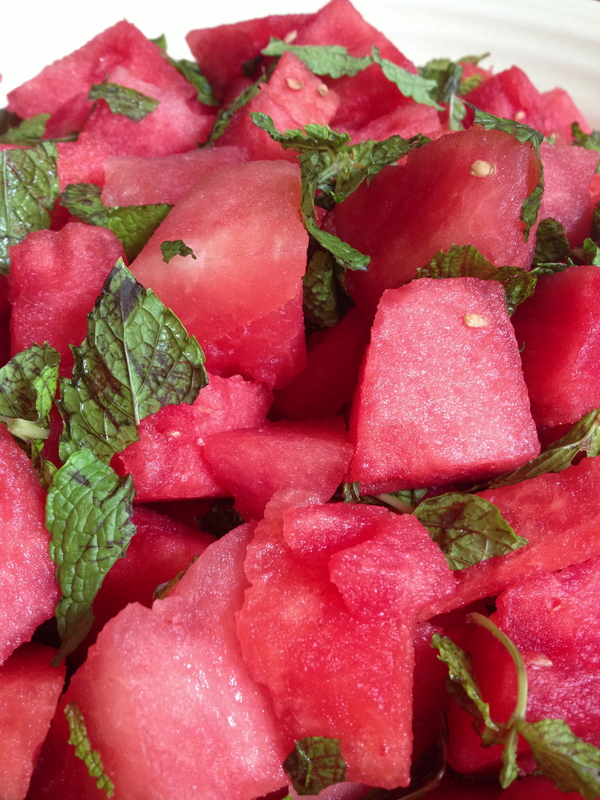 Rice with shallots, corn and mint, a watermelon and feta salad, and a cool celery salad with walnuts and parmesan were nice make-ahead side dishes that can be served at room temperature. We finished the meal with cold desserts: a flour-less chocolate cake with white chocolate bourbon cream,( I owe you the recipe), fresh strawberries and a cheesecake. Everyone seemed happy with the selection, and took home leftovers, a sure sign of a good meal! It’s pea season, and the farmer’s markets are brimming over with shell peas. Pop the pods open and roll out the tiny green peas nestled inside. 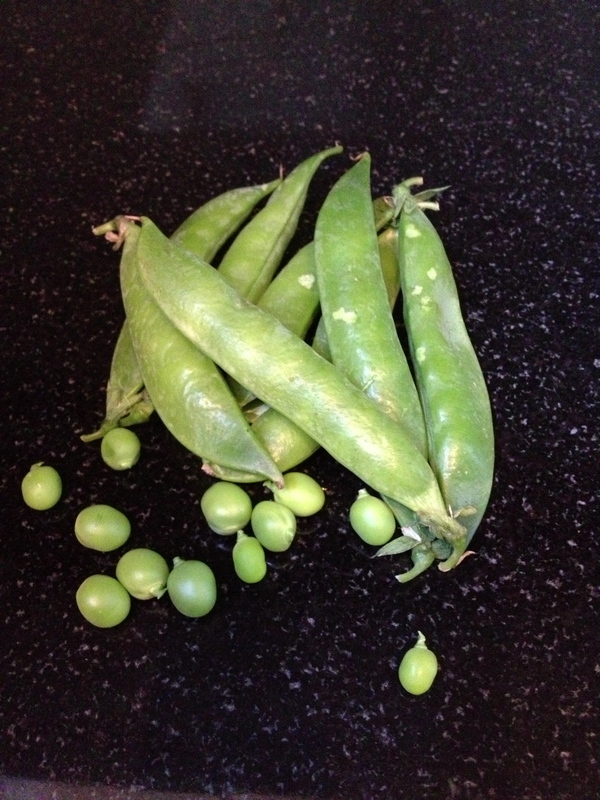 Each pod only contains a few, so if you are thinking about peas for a crowd, invite someone else to join in the task. There are lots of reasons to eat your peas. 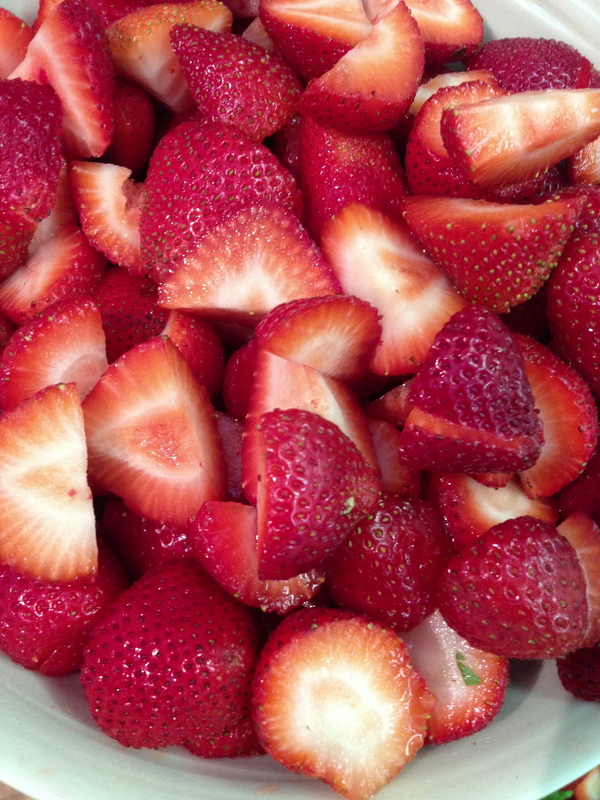 They are high in protein, vitamin C, fiber and other healthy micronutrients and antioxidants. 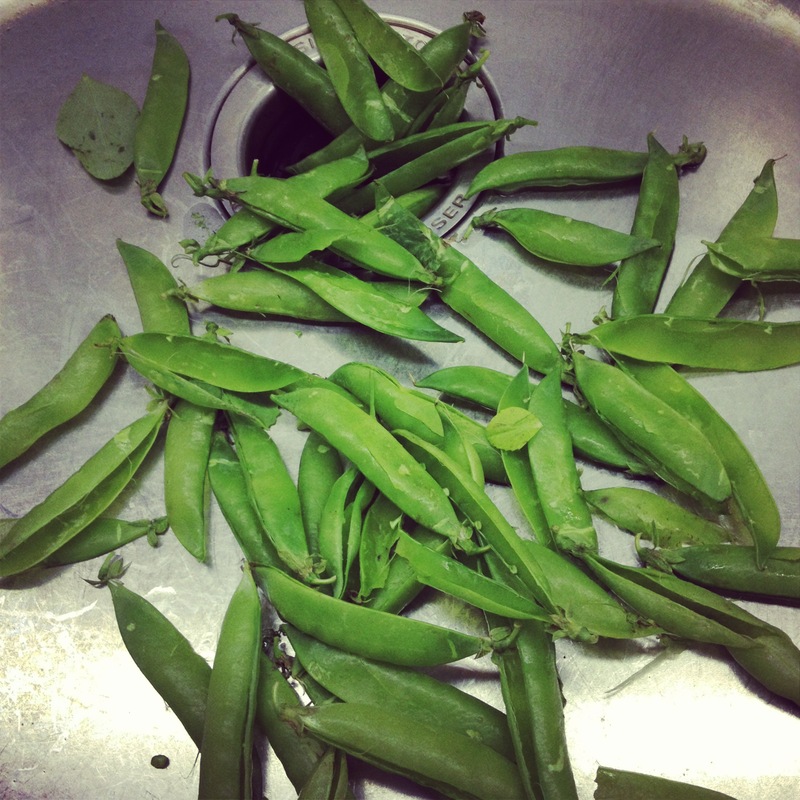 Once extracted, the peas can be eaten raw, boiled for 20-30 seconds just to soften them slightly, or quickly sautéed. 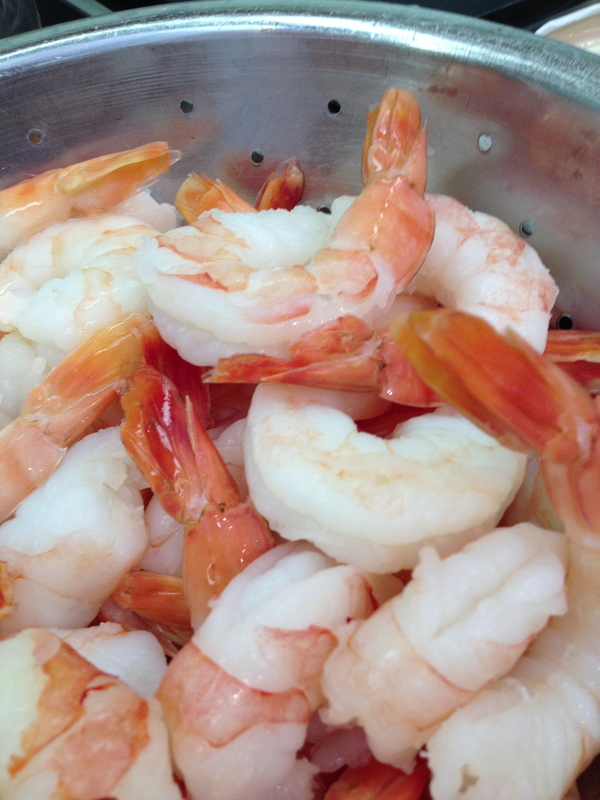 They are great as a side dish, with just a little butter and salt, or tossed into a salad. 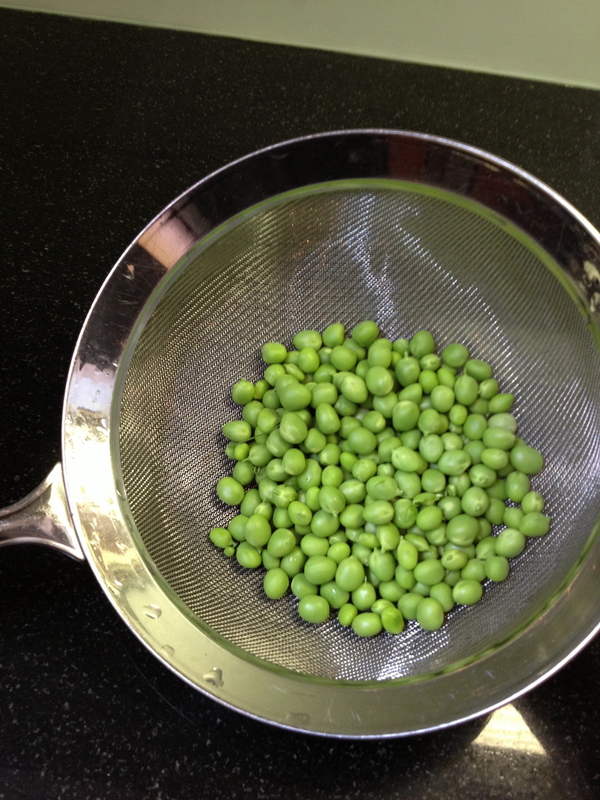 Peas are versatile, and can be used in pastas with a creamy or lemony sauce, or pureed into soups, and spreads. 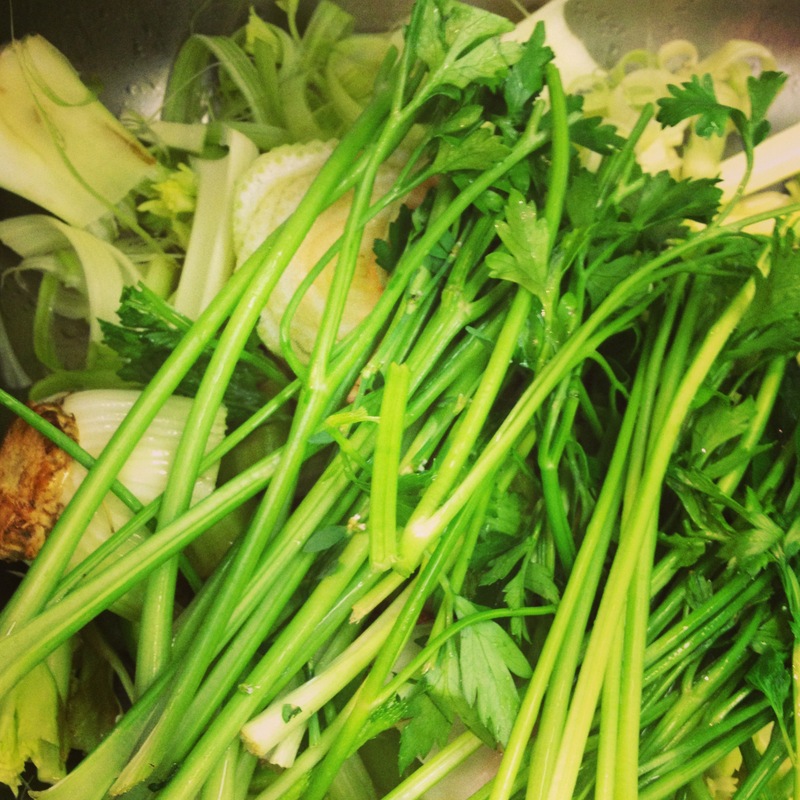 Add them to risotto, or grind them into pesto. There isn’t much these little green wonders won’t work with. Feel free to share your favorite pea recipes in the comment section!